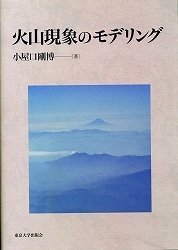 Koyaguchi, T., Y. J. Suzuki, "The condition of eruption column collapse: Part 1. A reference model based on analytical solutions", J. Geophys. Res., https://doi.org/10.1029/2017JB015308, in press. Koyaguchi, T., Y. J. Suzuki, K. Takeda, S. Inagawa, "The condition of eruption column collapse: Part 2. Three‐dimensional (3D) numerical simulations of eruption column dynamics", J. Geophys. Res., https://doi.org/10.1029/2017JB015259, in press. Costa, A., Y. J. Suzuki, T. Koyaguchi, "Understanding the plume dynamics of explosive super-eruptions", Nature Communications, 9:654, DOI: 10.1038/s41467-018-02901-0, 2018. Nakao, A., H. Iwamori, T. Nakakuki, Y. J. Suzuki, H. Nakamura, "Roles of hydrous lithospheric mantle in deep water transportation and subduction dynamics", Geophys. Res. Lett., 45, 5336-5343, https://doi.org/10.1029/2017GL076953, 2018. Suzuki, Y. J., M. Iguchi, "Determination of the mass eruption rate for the 2014 Mount Kelud eruption using three-dimensional numerical simulations of volcanic plumes", J. Volcanol Geotherm. Res., http://dx.doi.org/10.1016/j.jvolgeores.2017.06.011, in press. Shimizu, H. A., T. Koyaguchi, Y. J. Suzuki, "A numerical shallow-water model for gravity currents for a wide range of density differences", Progress in Earth and Planetary Science, 4:8, DOI 10.1186/s40645-017-0120-2, 2017. 小屋口 剛博, "火山噴火現象とマグマ上昇過程 : 観測と物理モデルに基づく噴火推移予測に向けて", 火山, 61(1), 37-68, https://doi.org/10.18940/kazan.61.1_37, 2016. 鈴木 雄治郎, "火山噴煙ダイナミクス：３次元数値シミュレーションモデルの発展と展開", 火山, 61(2), 385-397, https://doi.org/10.18940/kazan.61.2_385, 2016. Suzuki, Y. J., A. Costa, M. Cerminara, T. Esposti Ongaro, M. Herzog, A. R. Van Eaton, L. C. Denby, "Inter-comparison of three-dimensional models of volcanic plumes", J. Volcanol. Geotherm. Res., 326, 26-42, http://dx.doi.org/10.1016/j.jvolgeores.2016.06.011, 2016. Suzuki, Y. J., A. Costa, T. Koyaguchi, "On the relationship between eruption intensity and volcanic plume height: Insights from three-dimensional numerical simulations", J. Volcanol. Geotherm. Res., 326, 120-126, http://dx.doi.org/10.1016/j.jvolgeores.2016.04.016, 2016. Suzuki, Y. J., A. Costa, 他23名, "Results of the eruptive column model inter-comparison study", J. Volcanol. Geotherm. Res., 326, 2-25, http://dx.doi.org/10.1016/j.jvolgeores.2016.01.017, 2016. Suzuki, Y. J., T. Koyaguchi, "Effects of wind on entrainment efficiency in volcanic plumes", J. Geophys. Res., 120, http://dx.doi.org/10.1002/2015JB012208, 2015. Kozono, T., H. Ueda, T. Ozawa, T. Koyaguchi, E. Fujita, A. Tomiya, Y. J. Suzuki, "Magma discharge variations during the 2011 eruptions of Shinmoe-dake volcano, Japan, revealed by geodetic and satellite observations", Bull. Volcanol., 75:695, DOI:10.1007/s00445-013-0695-4GU2014-10145, 2013. Suzuki, Y. J., and T. Koyaguchi, "3D numerical simulation of volcanic eruption clouds during the 2011 Shinmoe-dake eruptions", Earth Planets Space, 65, 581-589, DOI:10.5047/eps.2013.03.009, 2013. Suwa, H., Y. J. Suzuki, and A. Yokoo, "Estimation of exit velocity of volcanic plume from analysis of vortex structures", Earth Planet. Sci. Lett., 385, 154-161, DOI:10.1016/j.epsl.2013.10.032, 2013. Suzuki, Y. J., and T. Koyaguchi, "3-D numerical simulations of eruption column collapse: effects of vent size on pressure-balanced jet/plumes", J. Volcanol. Geotherm. Res., 221-222, 1-13, DOI:10.1016/j.jvolgeores.2012.01.013, 2012. Kozono, T., and T. Koyaguchi, "Effects of gas escape and crystallization on the complexity of conduit flow dynamics during lava dome eruptions", J. Geophys. Res., 117, B08204, DOI:10.1029/2012JB009343, 2012. Hatanaka, K, T. Saito, M. Hirota, Y. Nakamura, Y.J. Suzuki, and T. Koyaguchi, "Flow visualization of supersonic free jet utilizing acetone LIF", Visualization of Mechanical Processes, DOI:10.1615/VisMechProc.v1.i4.40, 2012. Koyaguchi, T., Y. J. Suzuki, and T. Kozono, "Effects of the crater on eruption column dynamics", J. Geophys. Res., 115, B07205, DOI:10.1029/2009JB007146, 2010. Kozono, T., and T. Koyaguchi, "A simple formula for calculating porosity of magma in volcanic conduits during dome-forming eruptions", Earth Planets Space, 62, 483-488, DOI:10.5047/eps.2010.02.005, 2010. Koyaguchi, T., K. Ochiai, and Y. J. Suzuki, "The effect of intensity of turbulence in umbrella cloud on tephra dispersion during explosive volcanic eruptions: Experimental and numerical approaches", J. Volcanol. Geotherm. Res., 186, 68-78, DOI:10.1016/j.jvolgeores.2009.01.014, 2009. Kozono, T., and T. Koyaguchi, "Effects of relative motion between gas and liquid on 1-dimensional steady flow in silicic volcanic conduits: 2. origin of diversity of eruption styles", J. Volcanol. Geotherm. Res., 180, 37-49, DOI:10.1016/j.jvolgeores.2008.11.007, 2009. Kozono, T., and T. Koyaguchi, "Effects of relative motion between gas and liquid on 1-dimensional steady flow in silicic volcanic conduits: 1. An analytical method", J. Volcanol. Geotherm. Res., 180, 21-36, DOI:10.1016/j.jvolgeores.2008.11.006, 2009. Suzuki, Y. J., and T. Koyaguchi, "A three-dimensional numerical simulation of spreading umbrella clouds", J. Geophys. Res., 114, B03209, DOI:10.1029/2007JB005369, 2009.